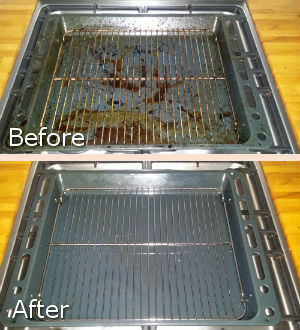 A clean oven is a must for every household and to achieve this you can rely on our staff. We offer professional oven cleaning which will ensure the flawless condition of your cooking appliance. Our staff use safe for the health non-toxic products when cleaning the oven. They sanitise the internal, removable and external parts and surfaces of the oven. Let us provide the oven cleaning which you need in your home or commercial estate, located in Canary Wharf E14, and you will be pleased with our staff’s work. If the oven in your kitchen or restaurant needs comprehensive cleaning, rely on our staff to do the work. They use biodegradable solutions and products for sanitising which effectively remove stains, grease and dirt without leaving any unpleasant residue. Our cleaners inspect the appliance in advance and check for faults. They dismantle the oven door, hob parts, panels and other removable components to clean them separately. Taking out all removable parts: trays, hob components, trays, pans, panels, etc. Except the door and glass panels, they will be soaked in hot cleaning solution which dissolves grease, burnt-on food and stains. Then, our staff sanitise inside the oven, rinse, wipe and reassemble the oven components back on their places. 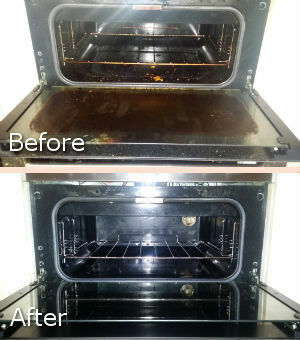 Order our oven cleaning which we provide within Canary Wharf during weekdays and weekends. Your cookers will be cleaned thoroughly and work much better. Our staff will scrub and wipe the body, door and glass panels of the oven. They will remove the drips and stains from the inside and outside of the glass panels to make them clearly visible. Let us ensure the oven cleaning which you need in or near E14 Canary Wharf and we guarantee you that you won’t regret for using our services.